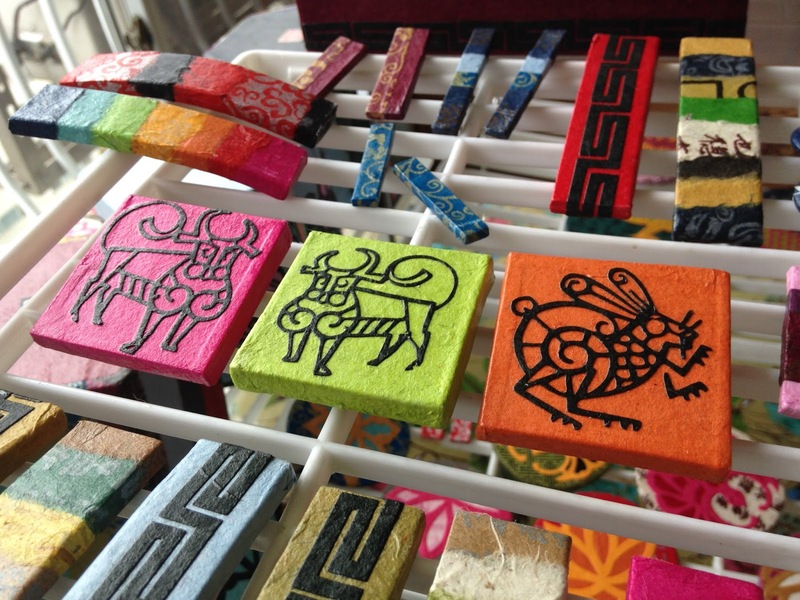 Hanji Naty (한지나티): Handmade Korea Fair.... in 10 days! 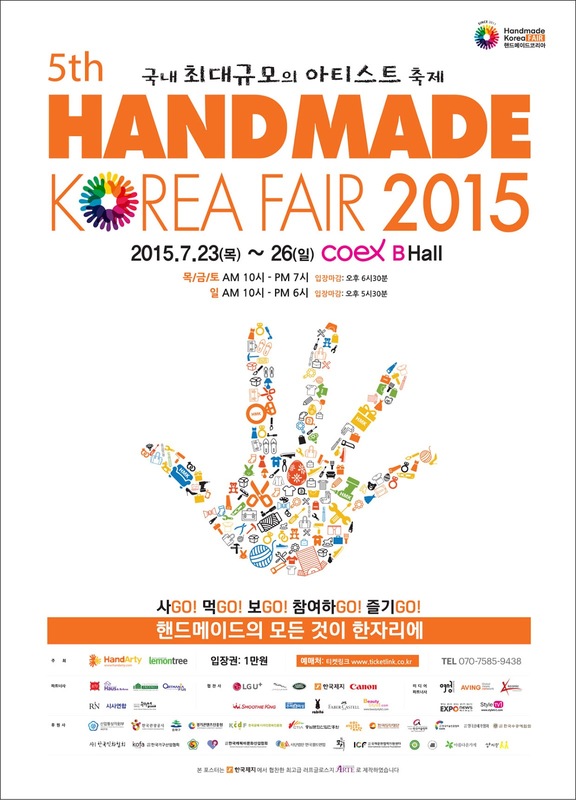 Handmade Korea Fair.... in 10 days! As I proudly announced in a previous blog post, I will be participating at the end of July in HANDMADE KOREA FAIR, a large craft show held in the COEX Convention & Exhibition Center in downtown Seoul! For the longest time Handmade Korea Fair was a distant project, something exciting and a little scary for sure, but that was relatively far in time. Now when I look at my calendar I realize.... it's in 10 days! For the last few weeks, I have spent most of my awake time crafting Hanji paper items, in order to get ready for this Craft show. I had an ambitious target of 1,600 items, but I have to admit that I will most likely not reach that number in time for the Fair!.... 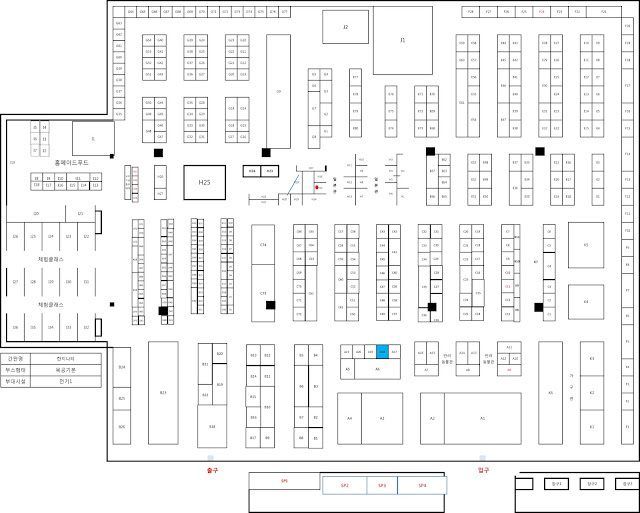 I am now revising my plan, and aiming for a total of 1,100 items. If you were to visit my apartment in Iksan you would see that I literally took over the living room, that is now my Hanji workshop! There is paper everywhere, supplies and tools on every free surface, and bins of hardware, paintbrushes and cardboard scraps all around the house! I have to take the time here to thank my husband and our four cats for their amazing patience. Now that time is running out, I will have to prioritize and be as strategic as possible with my time and energy. There are so many things I would like to be making, but I have to make choices!.... It is no easy task for me. In my booth at the Fair I want to make sure to offer an interesting selection of accessories and home decor items, and I especially want to focus on my patchwork collection. I have been crafting new square coasters (with ledge) to complement the pen holders and round coasters I am already offering to my customers. I am also working on different sizes of hair pins, as my Korean customers often request smaller pins that would fit their style better. At the Fair people will now have the choice between 5 sizes of hair pins, from mini (3 cm) to jumbo (10 cm). 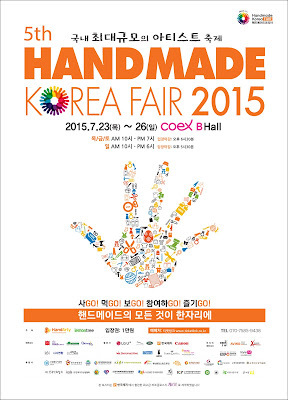 Handmade Korea Fair will be held in the B Hall of COEX, from July 23 (Thu) to July 25 (Sun). The Fair will be open to the public from 10am to 7 pm on Thursday, Friday and Saturday, and from 10am to 6pm on Sunday. The entrance fee is 10,000won. Handmade Korea Fair - What an amazing experience!